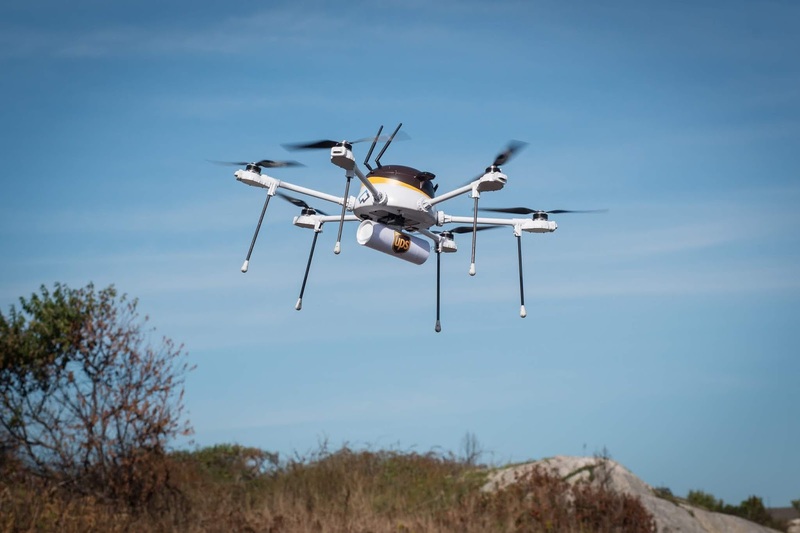 UPS has partnered with drone startup Matternet to deliver medical samples via unmanned drones. Deliveries will take place at the hospital and campus of WakeMed in Raleigh, North Carolina. Test flights have already taken place at the campus in August 2018 as part of a pilot program set up by the U.S. Federal Aviation Administration. The FAA has set up a three-year long program that aims to test practical applications of drones by working with private companies and local governments. UPS will make use of Matternet's M2 quadcopter - one powered by a rechargeable lithium-ion battery, capable of ferrying medical payloads weighing up to about 5 lbs. over distances of up to 12.5 miles. - for the deliveries. The quadcopter will fly through a pre-determined path - while monitored by a specially trained pilot - to a fixed landing pad at WakeMed’s main hospital and central pathology lab. The three parties involved - UPS, Matternet, and WakeMed - "will use the learnings to consider how drones can be applied to improve transport services at other hospitals and medical facilities across the U.S". This isn't the first initiative from UPS for medical drone deliveries. It has previously partnered with Zipline and non-profit Gavi to deliver blood products to remote areas in Rwanda via unmanned drones.